Product categories of RGBW Controller, we are specialized manufacturers from China, Rgbw Controller, Led Rgbw Controller suppliers/factory, wholesale high-quality products of Rgbw Led Controller R & D and manufacturing, we have the perfect after-sales service and technical support. Look forward to your cooperation! 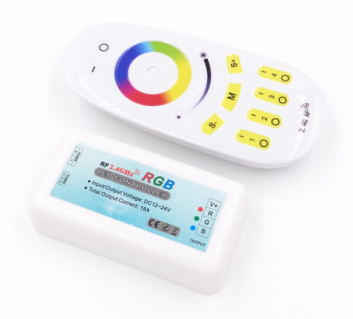 This 3 zone 2.4G RF remote RGB Led Controller adopt the most advance PWM control technology, can control all kinds of 3 channel (common anode) LED lights. Such as Led Module, LED Strip, led control box, led source, etc. This controller is with indicating light and power off memory function, next time to used it, will start with the model it save. Easy connection and simple to used is the representative advantages of this controller. 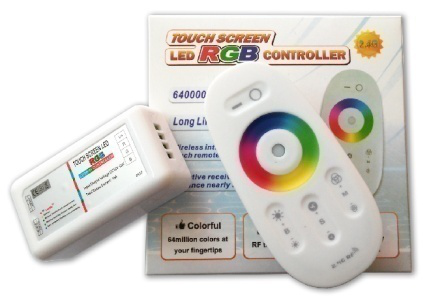 User can choose different changing mode, adjust the speed and brightness, turn on/off by the remote control according to their preference. The company is improved all the time by working together with many industrial leading partners, today, LBY, the name means reliable quality, good consistency, high light efficiency and cost effective. We now have 22 domestic offices and maintain very good relationships with our distributors from more than 50 countries. The local service cover most products users no matter where they locate. The company is also very actively providing its products and service to national projects and government signs.